Mike Piazza is an American former Major League Baseball catcher, notably playing for the Los Angeles Dodgers and New York Mets. 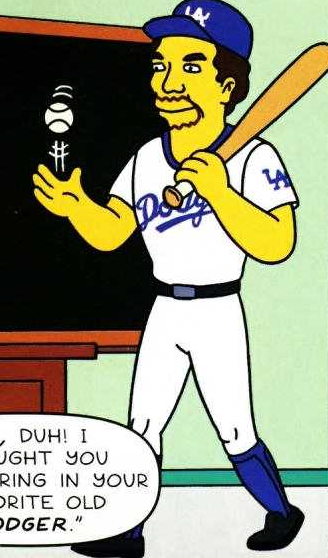 Mrs. Krabappel tells the class it is "Old Codger Day" the next day, but Bart brings in Mike Piazza because he thought she said "Old Dodger Day". Edna then asked Slugger if he ever get to second base with a schoolmarm. Modified on February 9, 2013, at 11:08.